The limbo that Joel Matip finds himself in is bizarre. The player retired from playing for the Cameroon in 2015 yet was called up for The African Cup of Nations this Winter and again, turned down their request and remains at Liverpool, fit and ready to play. I will not repeat all the quotes from Jurgen Klopp on the subject except to say that if he is picked to play against Plymouth in the FA Cup replay this evening, Liverpool could be in a world of trouble. FIFA, even under new President, Gianni Infantino are notoriously pedantic, unwieldy and slow to issue guidance on football matters. 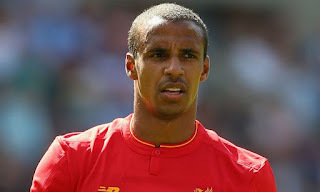 They will do nothing until Friday at the earliest about Matip's entitlement to play for Liverpool. But rest assured, should Klopp play him in the FA Cup tie against Plymouth, then investigations, the threat of sanctions, bans even expulsion from the Cup will be slapped on Liverpool and they will occur immediately. That's FIFA for you Jurgen, don't risk the wrath of an Empire, play Gomez and Emre Can in defence instead.